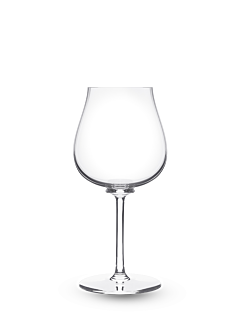 Because the qualities of aromas are related to sensory faculties, Peugeot has created a range where each wine glass has been designed to enhance the colour, scents and flavours of the finest wines. Discovering a wine is above all a true pleasure, a simple part of life that's accessible to all, a magical timeless moment. But beyond the aesthetic aspect, there can be no tasting without a glass that can magnify the wine, allow it to open up, to offer itself fully and reveal the richness, power and complexity of its aromas. 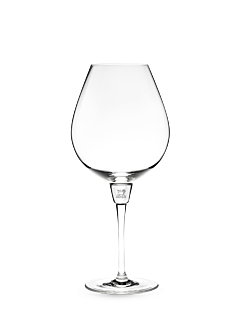 White wine glasses, red wine glasses, large wine glasses or stylish wine glasses, the choice of glassware should allow the wine to reveal all its qualities. Size, shape, fineness and opening are all elements that promote the development and release of scents and flavours and the reaction of the wine during tasting. 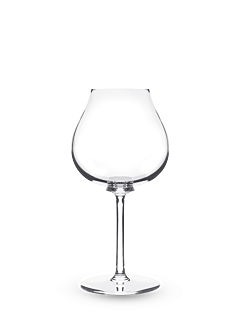 That's why every Peugeot wine glass has been designed to be clear and enhance the shine and play of light in the glints and nuances of the wine. 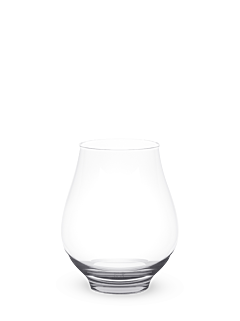 Wider for powerful aromas and narrower for subtle aromas. With a generous body offering optimal oxygenation, so that the bouquet is created and rises. With a narrower, fine lip so that the container disappears on contact with the lips, and the aromas are concentrated intensely in the mouth.